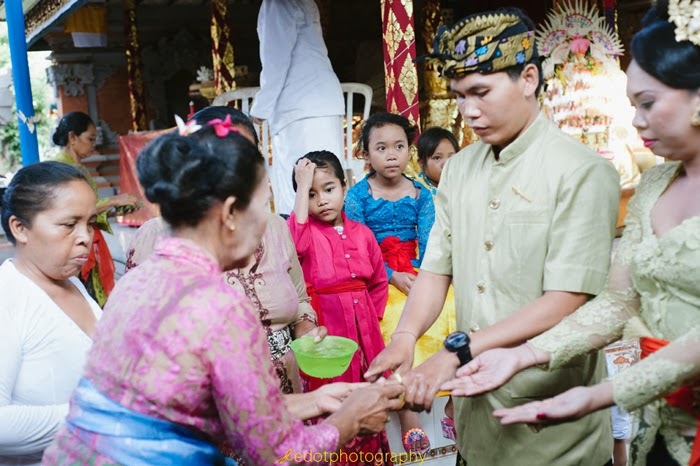 In the Balinese Hindu tradition, there are several phases of process in holding a wedding legally to attain blessings from parents, ancestors, and all the way to the Lord and the Gods. 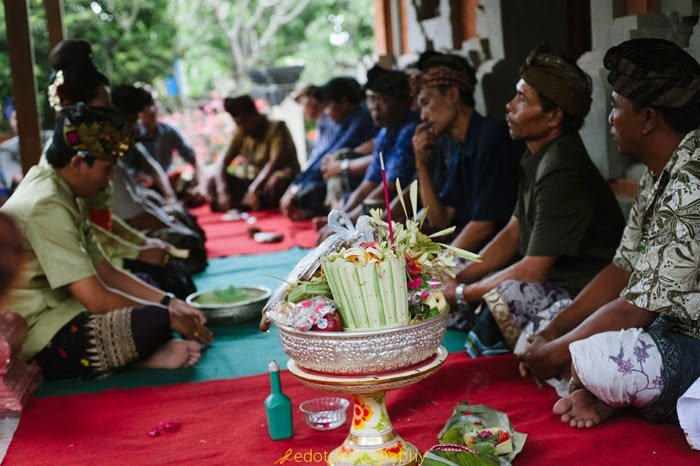 There is certain ceremony for every phase, along with offerings, each of it has its own kind. 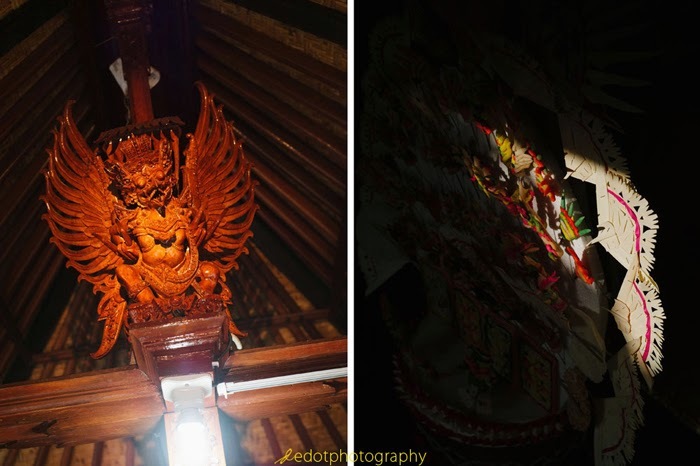 The Balinese Hindu offering is called Banten, it is one of the tools of ceremony that must be provided or made in the tradition of Hindu people in Bali. 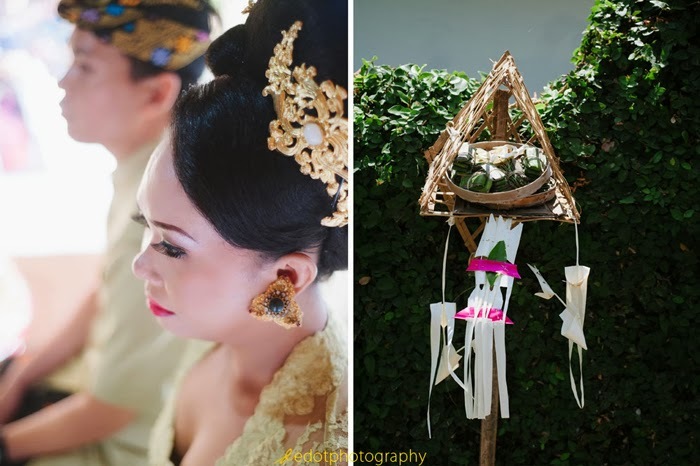 To propose or engagement is one of the phases in the sequence of Balinese wedding ceremony. 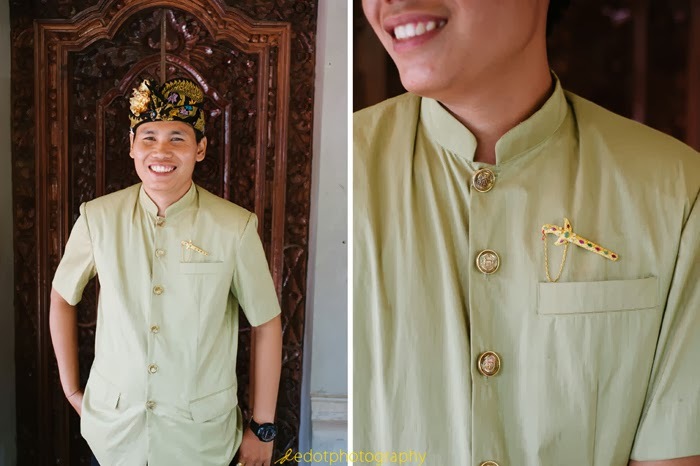 Before that, there is what it is called, "Nyedekang" is the process of introducing both bride-groom families to each other and together trying to find the perfect day to commence the wedding. This must be agreed by both families. 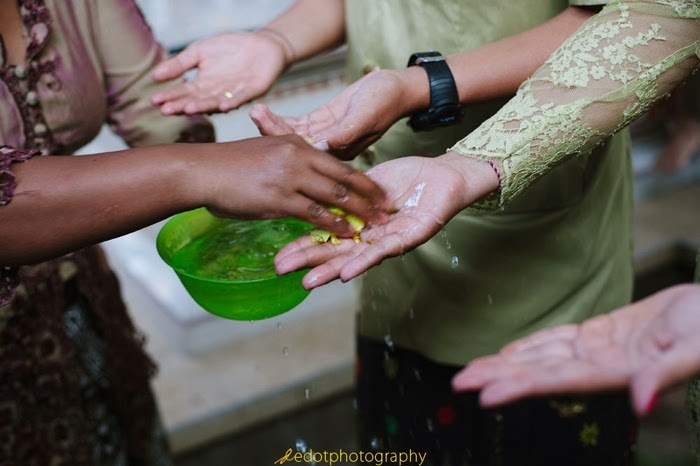 Sometimes there is also "Mamitang", it is the process of taking the bride to the house of the groom and the last of the wedding ceremony process is , what it is called "Pawiwahan". 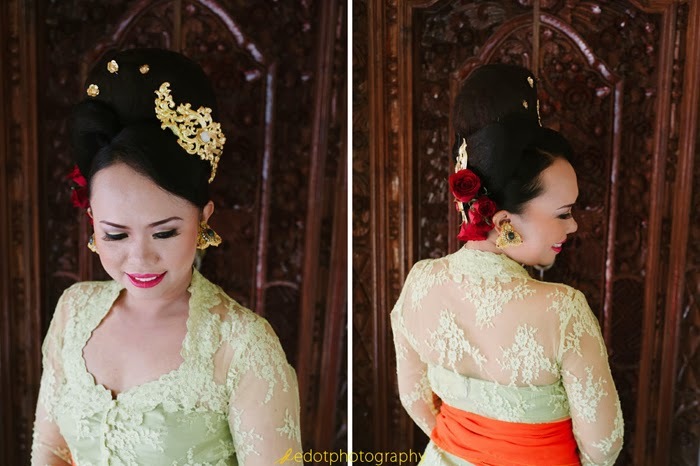 However, this time I will post photos of engagement ceremony from the couple Dewi and Ngurah. 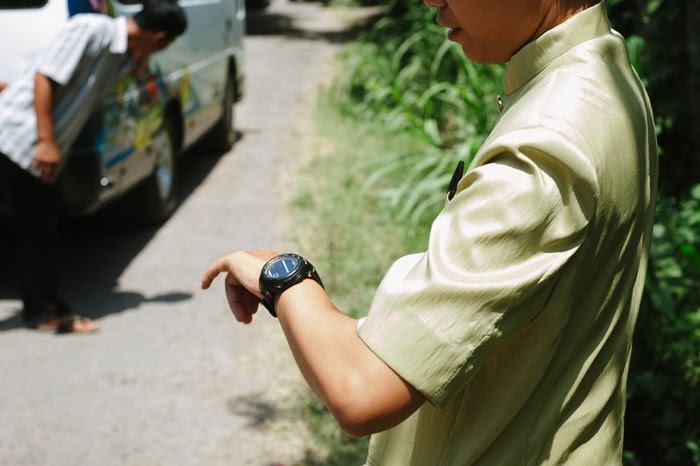 This was held in Dewi's house in Mengwi, Badung and Ngurah's house in Klungkung. 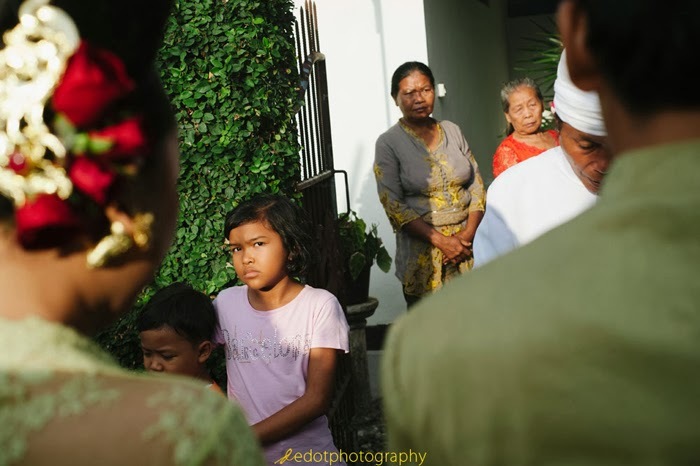 This is the first phase of their wedding ceremony, wait for the second phase.